Lady Cam "GiGi ENT. Summer 17' Tour" More dates TBA ! If you are interested in performing with Lady Cam on the "GiGi ENT. 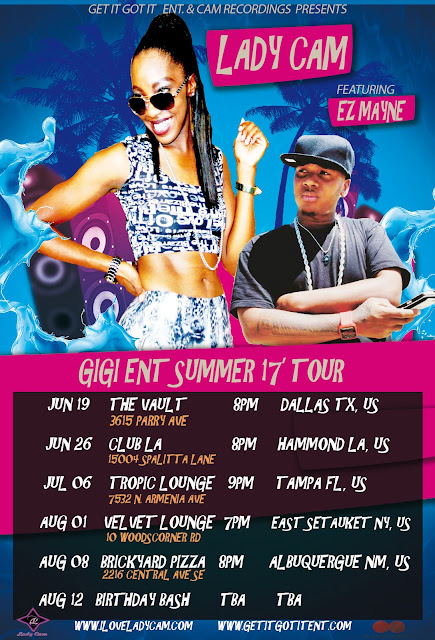 Summer 17' Tour" please visit www.getitgotitent.com for more info.